How many times have we heard (or even been) someone with little or no regard for God going on and on and on with a passionate description and defense of their “God-given rights”? We have the “right” to this, the “right” to that, and the “right” to the other thing over there. We can (and will) go into great, sometimes excruciating detail in enumerating and elaborating upon these rights. We are entitled to this and deserving of that. And, more often than not, especially if we are the typical American professing Christian, we will at some point make it plain that all of these rights are given and guaranteed by God. As recorded in the Constitution. It’s fairly obvious at this point in American history that we tend (and have been encouraged) to view the Constitution as basically a modern translation or clarifying rendition of basic biblical truths. The Constitution gives us in “real world”, practical, (at least now semi-) modern lingo what God has to say on the subject of “our rights”. While there were and are certainly many beautiful biblical truths embraced in the words of the Constitution thanks to there having been many true Christians involved in its construction, the modern American conflation of the Constitution with the perfect Law of God is both wildly inaccurate and terribly destructive. This blending of slowly changing American tradition with unchanging and unchangeable biblical truth has been a theme in our culture for a very long time. We are now, after generations of State- and pop-culture-directed “education”, very much inclined to view America, American tradition, and patriotism as inherently Christian things. We now tend to view the Constitution and its Bill of Rights as inherently and unquestionably containing an accurate description of freedoms “given to us by God”. To test such a bold contention in light of Scripture is not an approach that is well received in America, particularly in its professing conservative Christian circles. The goodness of Constitution is not to be questioned. It is the standard. The unquestioned standard. Thus, as was inevitable once we began down this track hundreds of years ago, we have now come to a place where Scripture is now openly and brazenly dismissed as the primary means and authority by which we test and measure law. The malleable, man-made, “living and breathing” Constitution has become that standard, and we now define our notions of truth, law, and rights accordingly. Which is to say: We start with man, and sprinkle in some God when and if He fits in. This mentality not only permeates secular Leftists and Libertarians, but it has now come to define the worldview and lives in action of the vast majority of professing Christian conservatives in America. Again, we see the abundant (rotten) fruit of State-controlled children’s education. The State now is the definer (and perpetual re-definer) of life, liberty, freedom, rights, and everything else…like family, marriage, money, and education. While God says that there is no right whatsoever to worship false gods, our beloved, adored, and idolized State tells us precisely the opposite. Where the Christian worldview centers on the grace of God saving His people from their sin, the pagan (and very American) worldview centers on the fictional “rights” of men to do whatever they like regardless of what God has lovingly commanded in His life-, peace-, and prosperity-providing Word. So while we rightfully thank God for the beauties that are in our history, in our heritage, and in our founding governmental documents, let us openly repent of the rak idolatry of those things that has now so clearly led us to the bring of ruin. There are no rights – no real rights – apart from God. There is no right to do anything that He has forbidden. There is no right to avoid doing what He has commanded. Doing what God has forbidden or resisting what God has commanded is not “a right”. 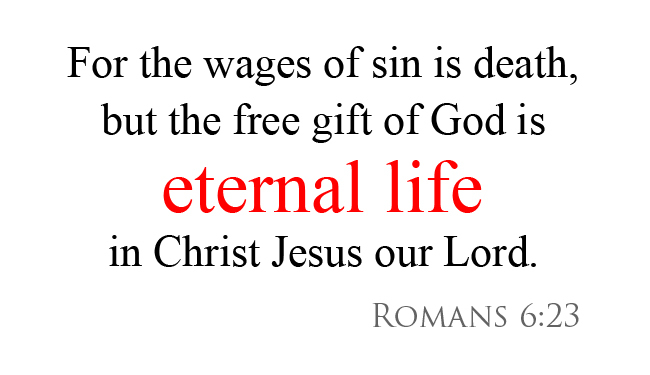 It is sin…and sin is death. Any claim to the contrary is a vulgar fiction; the fantasy of men who would have themselves on the throne of Christ. Men (and nations) are not commanded to repent for sins against laws that are not in place. They are commanded to repent because God’s Word was, is, and will forever be completely binding on all of His creation. There never has been and never will be a “right” to rebel against Him in any way. This truth is central to our understanding of the Great Commission mandate lovingly given by Christ the King to His people, so that this world might be warned and the repentant might be saved from the righteous judgment soon to fall upon all unrepentant sinners…none of whom ever had a “right” to sin, but many of whom (particularly in American Christian circles) were encouraged to believe otherwise. God’s Word is binding now. Jesus Christ is King now. He has been given authority over all things in heaven and on earth now. May we measure all things – including “rights” – accordingly.